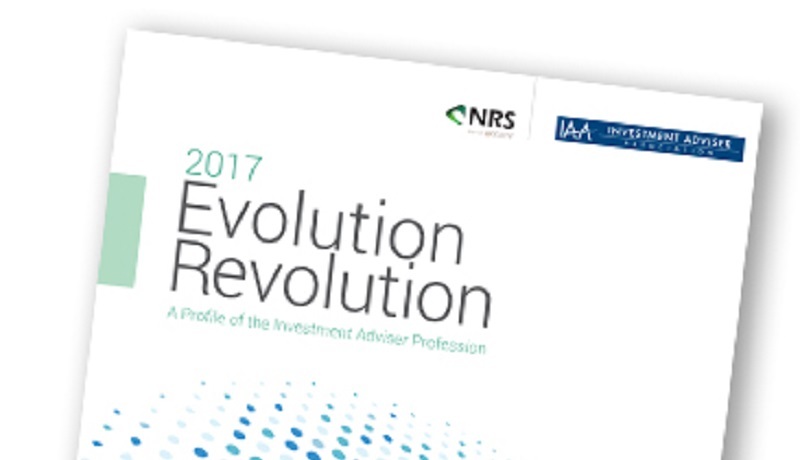 The just-released 2017 Evolution Revolution also shows that the investment adviser profession remains a powerful provider of high quality jobs as it evolves to meet the demands of a growing, tech-savvy client demographic. The 17th edition of this annual joint study by the Investment Adviser Association (IAA) and National Regulatory Services (NRS) paints a picture of a strong industry that has remained resilient in the midst of significant change. Thank you for your interest in our resources and insights. You can access “Evolution Revolution 2017” by clicking the link below.